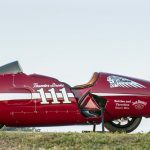 Guinness World Records announced the latest new records to be added to its collection of oddities, including a new record-holder for the world’s largest rideable motorcycle. 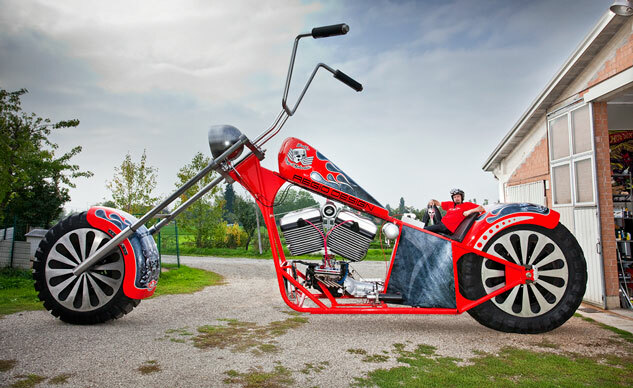 Italian product designer Fabio Reggiani led a team of eight people for seven months to build his giant motorcycle. The behemoth stands 16 ft. 8.76 in. tall, 394.88 inches long, 98 inches wide and weighs five and a half tons. Oh, and it runs, drawing power from a 5.7L V8 engine claiming 280 hp. Power is delivered through a three-speed transmission (plus reverse). 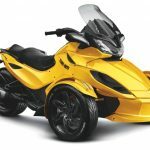 The giant motorcycle can move on two wheels but Reggiani added a pair of training wheels to improve stability (you’d need stilts to put a foot down when you stop!). 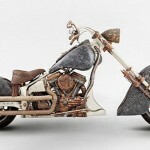 Reggiani’s motorcycle beats the previous record holder, the Monster Cycle built by Gregory Dunham of California. Dunham’s motorcycle is shorter at 11 ft. 3 in. tall, and a measly 243.6 inches long and weighs 6500 pounds. 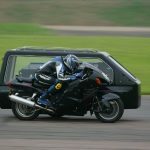 Dunham’s Monster does have a bigger engine, an 8.2L V8. But perhaps the most amazing new record is the world’s largest walking robot, a 51 ft. 6.898 in. long, 40 ft. 5.433 in. wide and 26 ft. 10.835 in. 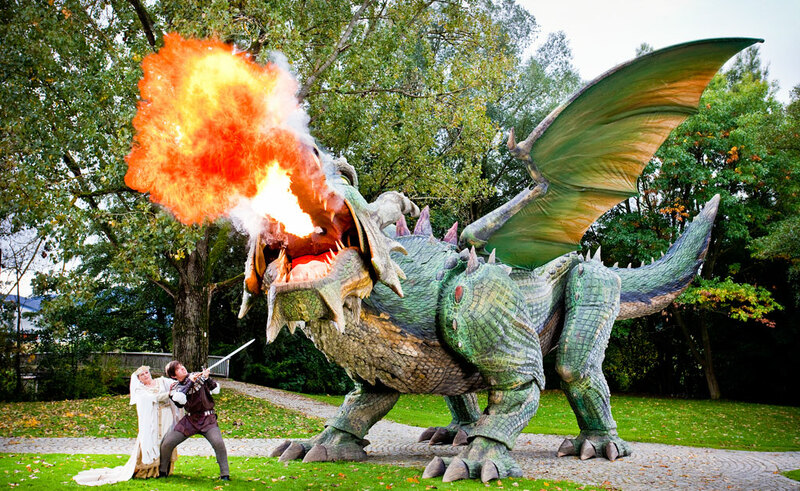 tall fire-breathing dragon built by Zollner Elektronik for a play in Germany.